Got the album for Christmas on compact disc. A fixture in the car now and enjoying it more all the time. Damon’s output over the last few years has been getting better and better imho. If you take ML TNN and the 2D featuring Humanz songs and bsides, plus TMW, and most of the live versions from Everyday Robots, add UTW as a cherry on top, you’d be hard pushed to top it for songwriting nous, variety, and enduring listenability. Also, first forum post of 2019 happy new year !! Zero promotion, just announcements for shows. They don't do even that... They put a bit of effort into promoting UK gigs but others are announced by venues and festivals, then info is shared by fan pages and some local websites and press - GBQ management limits its actions to adding events on facebook. Completely agree! While I love this album and band, and think that Merrie Land fits perfectly under TGTBTQ, it's hard not to imagine how good it would be as a blur album as well. I would kill for a blur album about London (or England in general) produced by Tony Visconti. Merrie Land has definitely added fuel to my hopes for a future blur record. Given that e.g. Suede, Shed Seven, Black Grape, the Gallaghers (+ apparently Sleeper) have been in top form in recent times, is it too much to ask for a brand new, but good old fashioned, Blur album with the jauntiness of the Britpop period? Totally agree. If it wasn't for lumaka and this forum, I'd be totally out of the loop. It seems like Damon is the only one who likes his management. Does he just not realize? Or just not care? I mean, none of us know the inner-workings of it all, but I think it's telling when every fan I know hates Eleven. And I got my tickets in too, Mark72! Can't wait for the Palladium!! I also got my ticket for Liverpool - is anyone from the forum going to that gig? I can't remember. Merrie Land is such a damn good album. It has been a perfect soundtrack for my long walks around London. It has become my dog walking album of choice Damon back at the top of his game. Hello all....it's been a while since I've contributed anything to this board, but I need to say that I've come to feel after numerous listenings that MERRIE LANDis just a SUPERB album. Loved "Gun to the Head" when I first heard it as a single...was less enthused when I heard Merrie Land and the rest of the album upon first listen but slowly and surely when I wasn't playing attention and I let the rest of the album continue after "Gun to the Head" I started really getting into each track. I saw in the live thread that you met Damon and Paul. Congrats. I think here we maybe need to make a distinction between mgmt and booking agent? Whoever has booked the Gorillaz live gigs has done an incredible job in terms of preserving the band's status. 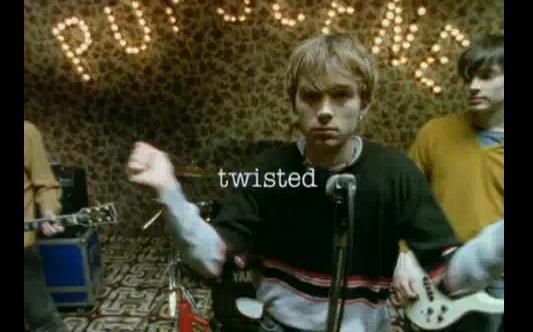 They were festival headliners all over the world without having had a real hit since 2005! I don't know enough about how this part of the music biz works, but Eleven maybe have something to do with it? Eleven may not be as bad as we think, they could just be an easy target. And yes, Gorillaz was handled brilliantly. Absolutely massive for the past 2 years. I wonder how much of that has to do with Jamie or some of his folks? I’m not even sure who that’d be, but Gorillaz has had a very active social media presence, which really suits the band. 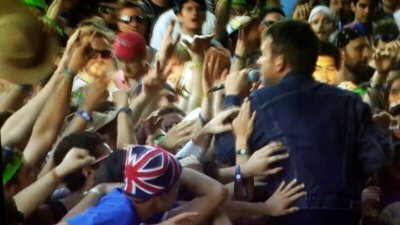 Makes me hope blur will get the same treatment, if/when they come back…!